Suzanne van der Lingen: Ark, The Joinery, 18 – 23 May, 2011. On my second visit to Suzanne van der Lingen’s exhibition Ark at the Joinery, Harold Camping, a Californian evangelical radio-prophet, predicted that the world would cease to be as we have come to know it. Come 6 pm on Saturday 21st of May 2011, Jesus Christ, he predicted, would gather the faithful to his bosom and embark on a five month project of misery for those left behind: The Rapture. And so I kept my eye studiously on my watch, all the time hoping that I wouldn’t be ‘raptured’ so I could spend some time at the Joinery. With cynicism like this, it looked unlikely anyway. Suzanne van der Lingen: Untitled (La Nostalgie des Origines), 2011, stereoscopic print; image courtesy the artist. And yet it seemed oddly fitting that my visit occurred within these last few hours, or rather, not. In the exhibition, Van der Lingen explores the thorny concept of truth, more specifically any kind of objective, literal truth. A palimpsest of stories – personal and archival, absurd and historical – structure the work and give it layers of meaning, which neither solidify nor elucidate ‘truth,’ but rather deny and obfuscate any approximation of it. The search for literal truth – and here I cannot but think of Camping’s skewed and elementary interpretation of the bible – is, as she suggests, doomed from the outset. The work comprises a series of manipulated prints, derived from the artist’s grandmother’s personal photographs; a book ‘Ark,’ which resembled a visual and textual bibliography of the surrounding works; a text based wall piece documenting a conversation between her grandmother and an archivist, and a claustrophobic video piece in the gallery’s adjoining space. In their totality, the works enact an intelligent and subtle interrogation of the notion of truth as some higher, literal concept. The truth she presents us with is fragmented, not static within historical or personal ephemera, but always remade subjectively or through the demands of context. The truth is predicated on how we approach it, and consequently on how it is reformulated. Additionally, the past she represents does not become more truthful or self-evident by virtue of the fact that it is past; if anything it becomes only more inchoate with the sedimentary accumulation of time. Suzanne van der Lingen, Ark, book, 2011; image courtesy the artist. The large prints, in particular, demonstrate Van der Lingen’s singular approach. Selected from her grandmother’s personal childhood photographs, they were initially stereoscopic prints with the capacity for three-dimensional apprehension; two photos, indistinct by themselves, merge and enable understanding, in the process giving the illusion of depth, and indeed presence. Here they are separated, enlarged, and fused together once again, only now they do not fit. This skewed fusion demonstrates the image as composite, palimpsest: estranged from their original context they become unreadable and empty of presence. Something emotive subsists in them, however – perhaps some kind of Barthesian purity of punctum – and the eye tremors on looking as though in memory of their ‘stereoscopic potential’[i] i.e. their now irretrievable presence. Furthermore, the images take on a series of references which bear no relevance to their initial context, that of the artist’s grandmother. To me one strongly resembled a particular work by Manet; another recalled the composition of Gauguin. In any case their supposedly inherent truth becomes flooded and distorted by a multitude of other unrelated reference points. As Craig Owens says of allegory[ii]: “one text is read through another, however fragmentary, intermittent, or chaotic their relationship might be.”[iii] As a direct descendent of these images, the artist is still unable to pin them down and uncover their truth; the presence or truth once contained therein has been nullified through her act, which elucidates the movement of time, the alteration of context and perhaps most poignantly, the unreliability of memory. As with the viewer, her attempts are fundamentally ill fated. Rather than be overcome by the poignant of this state, however, Van der Lingen finds a kind of Herzogian-‘ecstatic truth’ in its movement. Engaging with the past in a ‘work-like'[iv] manner, she dialogically interacts with a potential that negates a desire for ownership or truth. 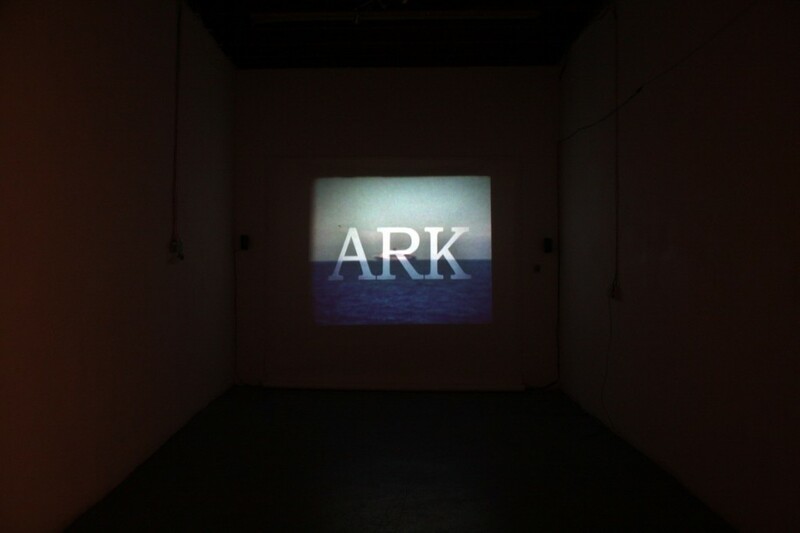 Suzanne van der Lingen: ARK, video projection, archival and found footage, 2011; image courtesy the artist. The video piece goes further in illustrating this dialogical approach to the past. Here the artist moves away somewhat from a purely personal engagement with material, though it acts forcefully as a thread linking the entire exhibition. Archival naval footage, textual quotations and an interview with a man who believes to have found Noah’s Ark, all allude back to the prospect of a search for meaning or truth. The artist’s grandmother lost her father at sea, and certainly this underlies these more impersonal sources. Her failure to find out what had befallen him is echoed in the artist’s failure to pin down meaning, where she can find no traction. This in turn is echoed in the ludicrousness of attempting to locate the object of a biblical parable. The search, in a sense, undermines the higher concept of that which we are searching for i.e. truth. As Svetlana Boym says with regard to nostalgia, ‘only false memories can be totally recalled[v]’. Truth, in all its shifting, erratic transcendence, cannot be approximated by an engagement with literalness. However, mirroring a contemporary belief in genetic determinism, this approach is followed all too often. As in the case of the search for the Ark, or indeed the eschatological non-event, the attempt to attach literal meaning to both cases actually negates the prospect of either as such. Searching for either belies a lack of belief or faith; stifling them through literalness only suggests that allegory demands too much from us, it must be contained. 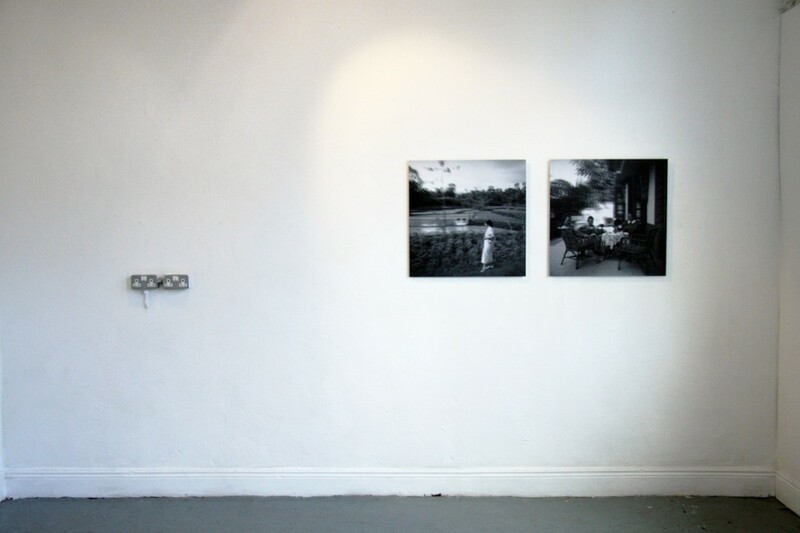 Suzanne van der Lingen: Ark, installation shot, stereoscopic prints, 2011; image courtesy the artist. To describe Van der Lingen’s work as allegory situates it in a distinctly temporal locale; more specifically, within a temporality that is neither linear nor comprehensible, but chaotic and dispersed. The matter she unearths and explores, be they personal or objectively allusive, all share one common trait: they cannot be situated comprehensively within time or space. As such – flipping Boym’s assertion on its head – they cannot be totally recalled by virtue of the fact that they are true. Truth here does not bear any relation to transparency or literalness; with ‘true’ is denoted something that remains elusive and yet tantalisingly close, the family photo which remains unknowable even though we are familiar with those whom it depicts. Truth is truth because it is irreducibly unknowable, therefore demanding the presence of belief or faith. Van der Lingen’s work accepts this: the search for semantic truth is ultimately doomed, but this searching paradoxically remains more important in the cultivation of belief than actual sighting of it. Rebecca O’Dwyer is writer based in Dublin. [i] Suzanne Van der Lingen in conversation with Tadhgh O’ Sullivan at the Joinery, 19th of May 2011. [ii] Allegory might be an interesting way of looking at Van der Lingen’s work also, especially alongside Craig Owens’ insistence of its specifically temporal nature. This is induced by his use of the word ‘palimpsest,’ which describes a scroll typically written on over and over so that multiple layers of text remain visible under the most recent inscription. Meaning, in allegory, thus has a distinctly temporal dimension.